Episode 6 "Cats, Ballet, Harvey Specter"
Harvey and Louis assess their relationship. Donna doubts Samanthas motives for helping her. Donnas agreement forces Harvey to help David Fox. Alex comes to Zanes aid on a personal venture. 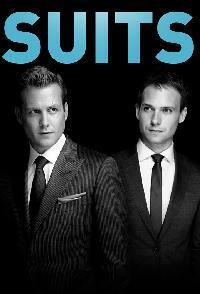 Episode 9 "Motion to Delay"
When Harvey and Zane cant stay on the sidelines, Donna does whats best for the firm. Episode 13 "The Greater Good"
Episode 14 "Peas in a Pod"
Harveys forced to choose a side when Samantha and Scottie go toe-to-toe. Louis represents Lipschitz. Donnas relationship complicates a deal for Harvey and Alex. Samantha helps Louis get justice. When Hardman comes looking for retribution, the firm rallies to Harveys defense.